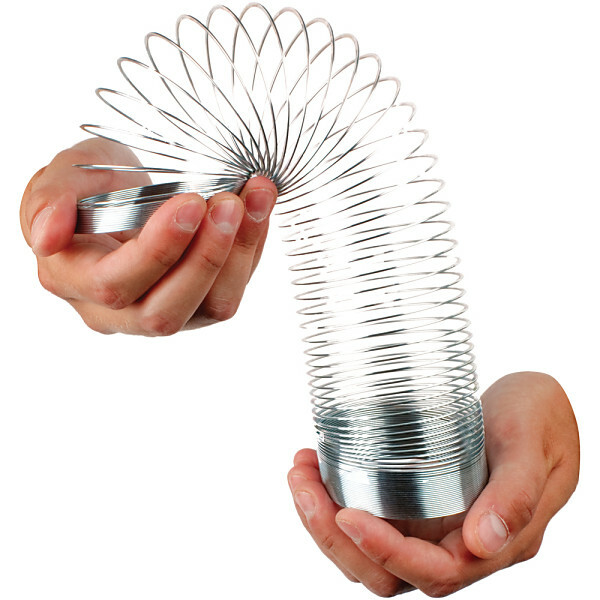 The Springy, which was also called the Slinky. 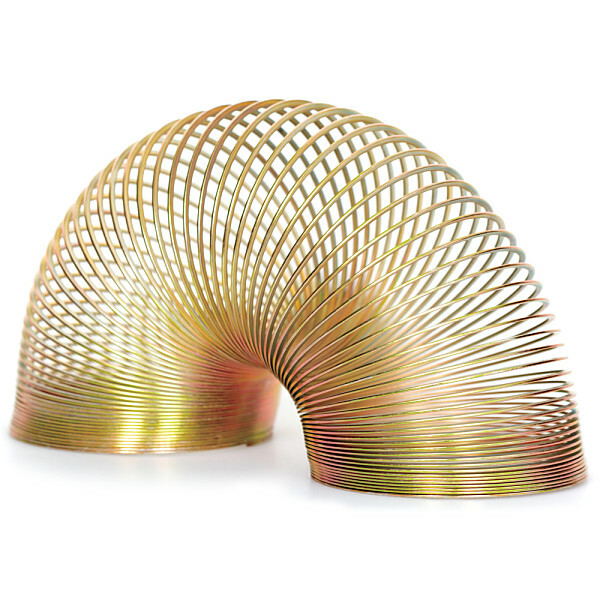 Its technical description is a helical spring, which makes it sound boring, but it is actually great fun for children and adults. The Springy can be used for a number of tricks including reversing the coils from end to end, hand to hand. The toy was originally invented in the 1940s. This version is made of metal and is about 7cm diameter. Colour either silver or bronze (random).